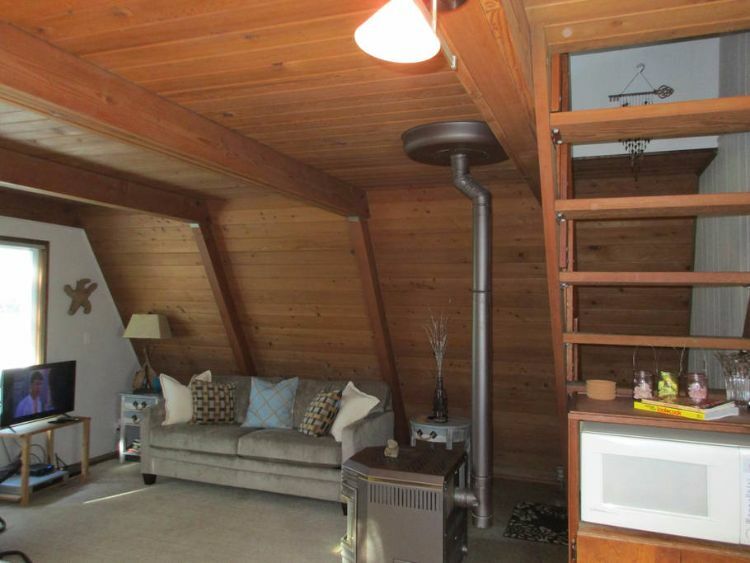 This A-frame is situated between a quiet lake and the sea - all while being surrounded by picturesque Oregon forest. This is the perfect property to escape to for a relaxing getaway where your biggest decision is going to be which beach to walk to next. The cabin sleeps up to six, so you can bring the whole family or a group of friends. 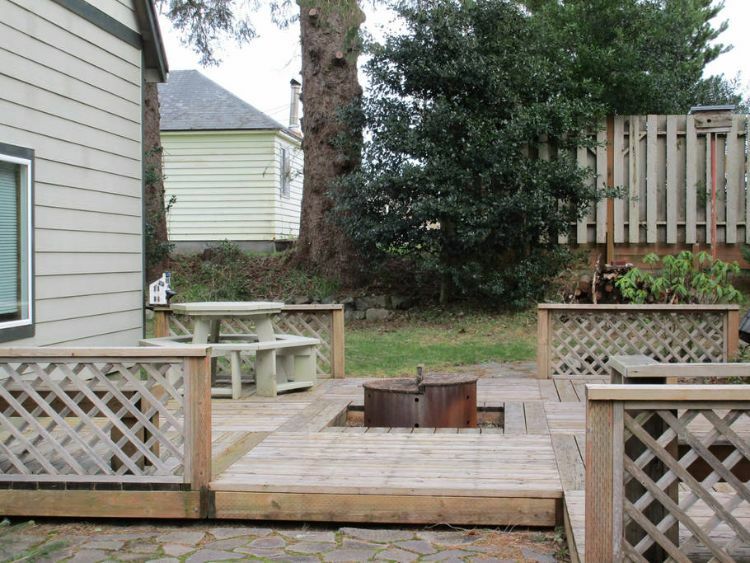 And besides having a great open living plan that brings the kitchen, dining, and living room together - this A-frame has a swoon-worthy deck with a built-in firepit. 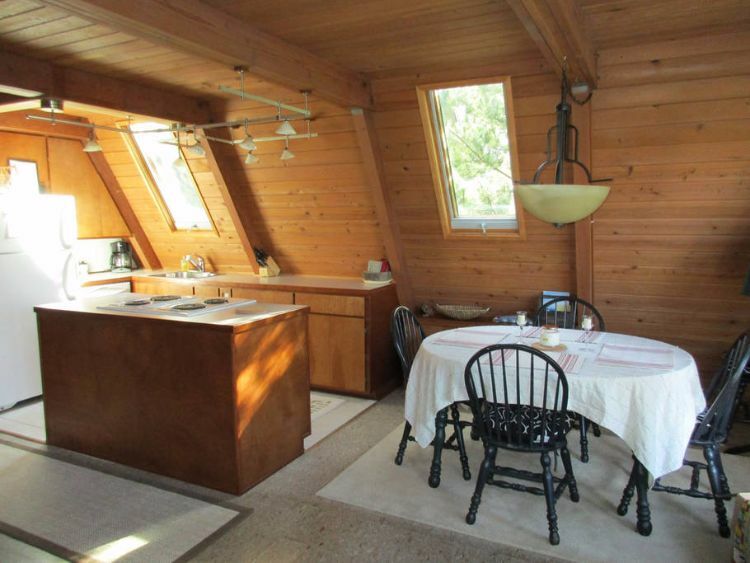 Inside there's wonderfully angled walls you expect from an A-frame. The warm golden wood gives this cabin a really cozy feel - as does that wonderful fireplace. The windows let a ton of natural light into this space - making this already broad area feel even bigger. We also love how the kitchen opens right up onto the dining table so everyone can talk, and be involved at mealtime. 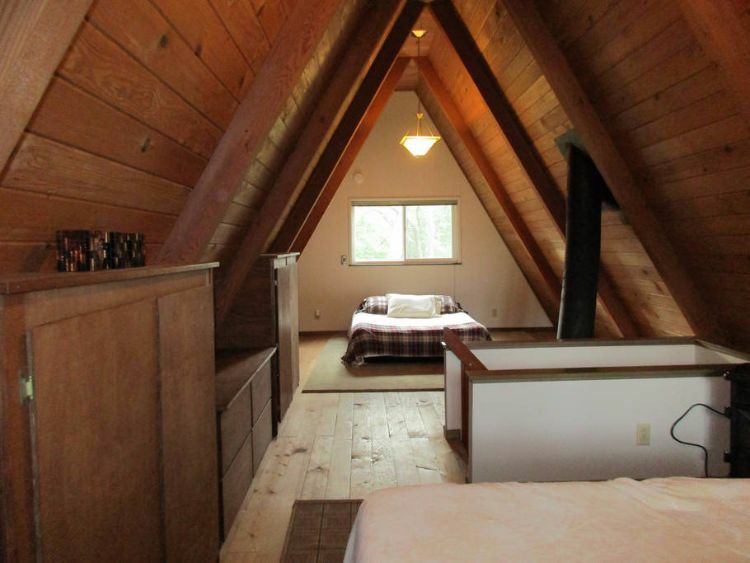 Two of the beds are tucked up in the big, beautiful loft space. We adore the planks on the floors and the big beams on the A-frame walls because it really makes this space feel cozy, and cabin like. Finally, the deck. This is going to be the space that brings everyone together after a day on the beach. Sit outside with some cool drinks and enjoy the fire while swapping stories. It's a wonderful addition to an already stunning property. 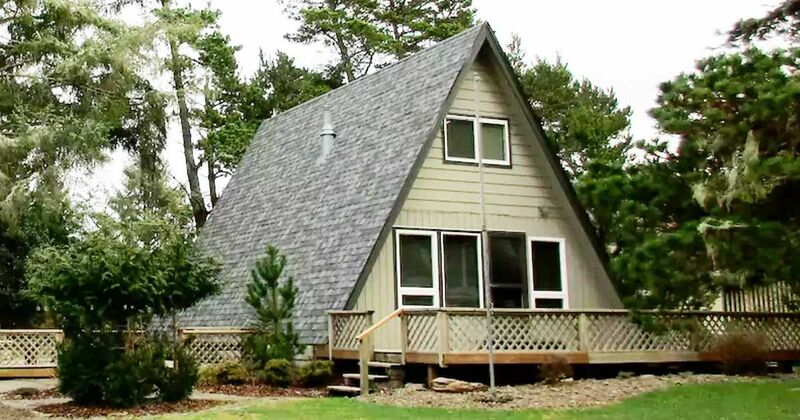 Share this lakeside, and oceanfront A-Frame cabin with your friends on Facebook, Twitter, and Pinterest.